West 26th Street Press, 9780786753543, 220pp. The Jordan Rift Valley, stretching from the Red Sea to Lebanon, was ripped open millions of years ago by vast forces within the earth. This geological object has also been a part of human history ever since early humans used it as a path in their journey out of Africa. And for a quarter of a century it has been part of the biography of Israeli writer Haim Watzman. In the autumn of 2004, as his country was riven by a fierce debate over its borders, Watzman took a two-week journey up the valley. Along the way he met scientists who try to understand the rift through the evidence lying on its surface--an archaeologist who reconstructs the fallen altars of a long-forgotten people, a zoologist whose study of bird societies has produced a theory of why organisms cooperate, and a geologist who thinks that the valley will some day be an ocean. 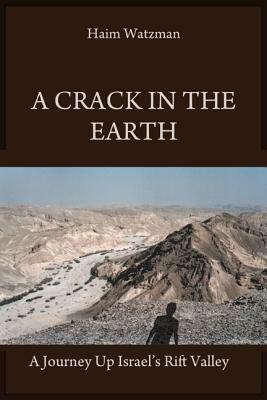 He encountered people whose life and work on the shores of the Dead Sea and Jordan River have led them to dream of paradise and to seem to build Gardens of Eden on earth--a booster for a chemical factory, the director of a tourist site, and an aging socialist farmer who curates a museum of idols. And he discovered that the geography's instability is mirrored in the volatility of the tales that people tell about the Sea of Galilee. As an observant Jew who has written extensively about science and scholarship, Watzman tries to understand the valley in all its complexity--its physical facts, its role in human history and his own life, and the myths it has engendered. He realizes that human beings can never see the rift in isolation. "It is the stories that men and women have told to explain what they see and what they do as a result that create the rift as we see it," he writes. "As hard as we try to comprehend the landscape itself, it is humanity that we find. Watzman's poetic evocation of the scientific and the human is a unique chronicle of a quest for knowledge. Finalist, Sami Rohr Prize for Jewish Literature, 2008.